Take Romeo and Juliet. Add The Outsiders. Mix thoroughly. Colt and Julia were secretly together for an entire year, and no one—not even Julia's boyfriend— knew. They had nothing in common, with Julia in her country club world on Black Mountain and Colt from down on the flats, but it never mattered. Until Julia dies in a car accident, and Colt learns the price of secrecy. He can't mourn Julia openly, and he's tormented that he might have played a part in her death. When Julia's journal ends up in his hands, Colt relives their year together at the same time that he's desperately trying to forget her. But how do you get over someone who was never yours in the first place? When Alexis's little sister Kasey becomes obsessed with an antique doll, Alexis thinks nothing of it. Kasey is a weird kid. Period. Alexis is considered weird, too, by the kids in her high school, by her parents, even by her own Goth friends. Things get weirder, though, when the old house they live in starts changing. Doors open and close by themselves; water boils on the unlit stove; and an unplugged air conditioner turns the house cold enough to see their breath in. Kasey is changing, too. Her blue eyes go green and she speaks in old-fashioned language, then forgets chunks of time. Most disturbing of all is the dangerous new chip on Kasey's shoulder. The formerly gentle, doll-loving child is gone, and the new Kasey is angry. Alexis is the only one who can stop her sister — but what if that green-eyed girl isn't even Kasey anymore? “Tell us your secret,” the girls whisper, one toilet to another. “Dead girl walking,” the boys say in the halls. Lia and Cassie were best friends, wintergirls frozen in matchstick bodies. But now Cassie is dead. Lia's mother is busy saving other people's lives. Her father is away on business. Her step-mother is clueless. And the voice inside Lia's head keeps telling her to remain in control, stay strong, lose more, weigh less. If she keeps on going this way—thin, thinner, thinnest—maybe she'll disappear altogether. In her most emotionally wrenching, lyrically written book since the National Book Award finalist Speak, best-selling author Laurie Halse Anderson explores one girl's chilling descent into the all-consuming vortex of anorexia. That's it for me this week. What was in you mailbox? I hope you enjoy all those books! 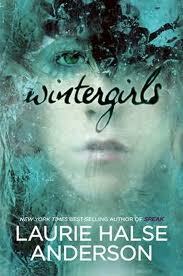 I really want to read Wintergirls. Heard it was fabulous :). New follower. I also have wintergirls in my list but I got it before Christmas I think. :) Great books. Check out what I got this week, here's my IMM. Great mailbox Cathy! The Secret Year sounds so sad but so good! 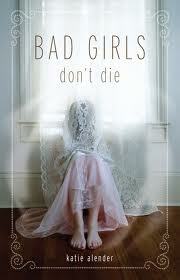 Bad Girls Don't Die is a great creepy YA novel that I'm sure you enjoy reading! The Secret Year looks really intriguing! Looking forward to your thoughts! Here's what's in my mailbox this week! The Stylish Blogger Award X4!